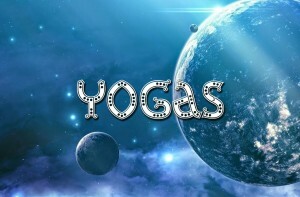 In astrology, every auspicious and inauspicious yoga occurs due to planet’s relation and condition. Five types of yoga are very important. It is called as Panchmahapurush yoga. In astrology, five planets decide the life. This yoga occurs with these five planets. The five planets are Jupiter, Saturn, Venus, Mars and Mercury. This yoga gives special benefits. Hans: It occurs when Jupiter is in Cancer, Sagittarius or Pisces sign. A person become ascetic, scholar and intelligent. They get fame-prestige without doing hard work. They get good success in politics and education. They have to improve their food habits and arrogance. Shas: It happens when Saturn is in Libra, Capricorn or Aquarius sign. A person becomes ruler. They reach bottom to the top. They have capability of knowing the time. However, they have to avoid alcohol and addiction. Malaya: It happens when Venus is in Pisces, Taurus or Libra sign. A person gets splendor and luxury. He gets glamour, prosperity, money and attraction. They are in film, media, art, beauty and medical fields. However, they have to avoid misuse of glamour and money. Ruchak: It happens when Mars is in Capricorn, Aries or Scorpio sign. A person becomes brave and mighty. They get good success in land-property and power. They are in administration, army, police and surgery fields. They have to control on their money and violent nature. Bhadra: It happens when Mercury is in Virgo or Gemini sign. A person would be very rich and intelligent. He gets beauty, speech and cleverness. They get good success in speech and expression fields. They also get good success in financial fields. However, do not misuse your intelligent. Remedy: Always keep your bathroom clean and dry. Moon and Venus gives good results.